During an interview with CCP Games at GDC 2012, the developer of both Eve Online and the new highly anticipated PS3 exclusive game currently under development Dust 514, explains how the games will combine. CCP Games explains the already existing Eve Online and Dust 514 will work together to break through new boundaries of gameplay, combining both PS3 players and PC gamers within the same game. Watch the video after the jump to see CCP Games explain how the new universe will function. 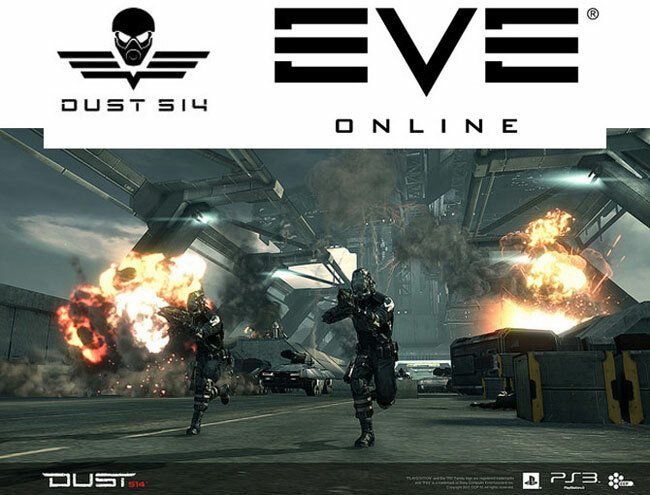 All the battles within Dust 514 played out by PS3 gamers will determine who controls various planets within the EVE universe, and gamers in DUST 514 will be able to interact with gamers within the EVE Online universe by providing mercenary assistance when required. All for a fee of course. “Eve Online is set more than 21,000 years in the future, the background story of Eve Online explains that humanity, having used up most of Earth’s resources through centuries of explosive population growth, began colonizing the rest of the Milky Way.